What is it about pets and children wanting to play on the stairs? You can tell them not to play on them, and yet there they go. Or maybe it’s just mine that love to slide down them all day long. Trying to protect pets and children from injury can be a challenge when you can’t get the gate to stay in place. 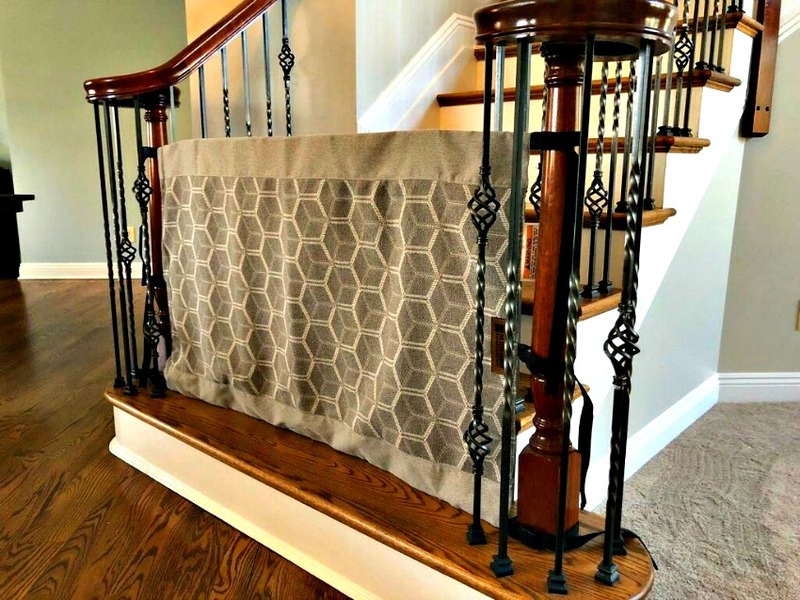 The Stair Barrier solves this problem with flexible, lightweight and easy to mount barriers that fit every style of banister. The Stair Barrier offers a safe, customized, and attractive solution for all types of staircases. It is designed specifically for use at the bottom of stairs and to keep children and pets safely off the stairs. Our goal is to provide a safe solution people need and want, while adding to the decor of your home. This 32 inch stair barrier can be attached banister to banister or wall to banister. Both styles can be set up on an angle and do not require two flat surfaces like most units. Made from recycled material, Stair Barriers are lightweight and easy to install. They also have stair barriers that can be used outside on your patio or deck. Keeping the little ones from playing on the stairs was not something I had to worry about until we moved from Florida to Kentucky. Our homes had always been ranch style so stairs were not an issue. Our home here in Kentucky has three stair cases! 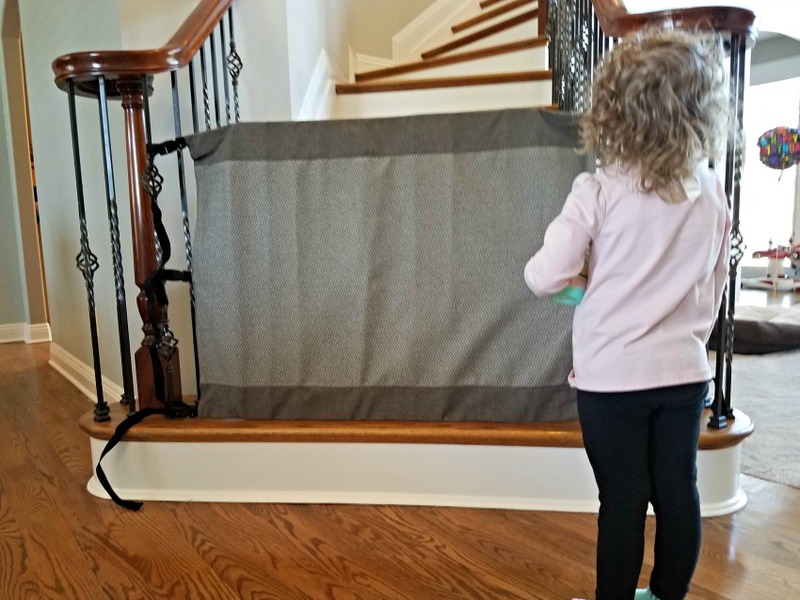 As you can see, our little one is very curious about this new barrier at the bottom of the stairs that is keeping her from playing on them. We’ve tried the pressure gates and the ones that are like gates mounted to the wall and banister. The problems with these types of gates are that they either damage the banisters by the pressure on them or they can’t be securely mounted because the banisters are round and don’t have a flat surface. And most newer homes are being built with open staircases which while beautiful, really make putting up a protective gate difficult. 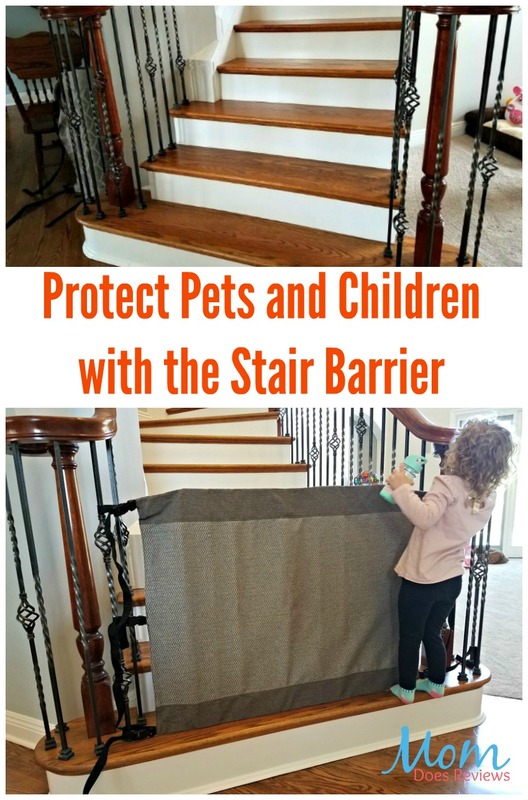 This is where The Stair Barrier offers the a great way to protect your pets and children from harm. I can tell you that there is nothing as frightening as hearing the thud, thud, thud of a little one (or our dog) falling down the stairs. Made from Repreve recycled woven fabrics, Stair Barriers are lightweight and attach around the banisters instead of damaging them. 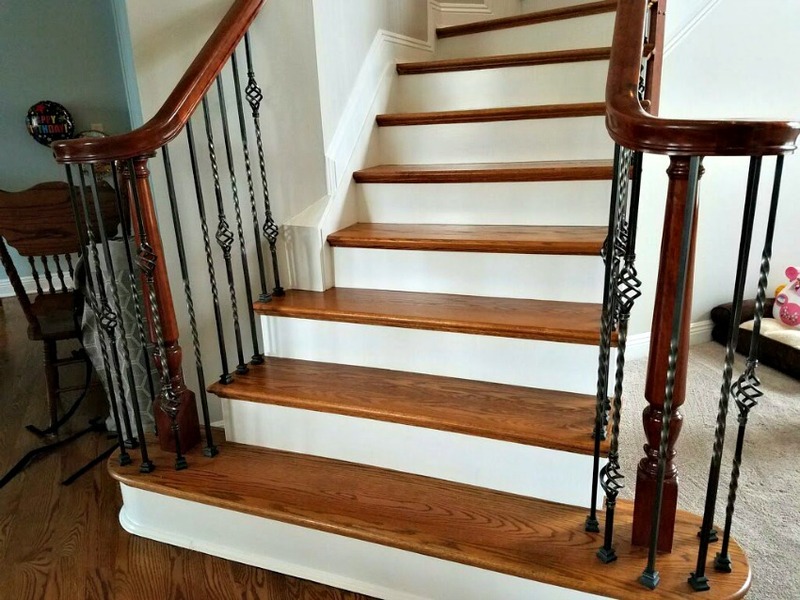 Stair Barriers can easily be secured to metal, spiral, curved, column or square-shaped banisters, with dual sided buckles. We have Stair Barriers at the bottom of all our staircases to keep our little ones and pets safe from falls. The feature that I like is that the clips can be released and the Stair Barrier rolled up to open the stair case when you need to use it. It is also super portable and can be taken with us when we go to visit friends that have stairs. 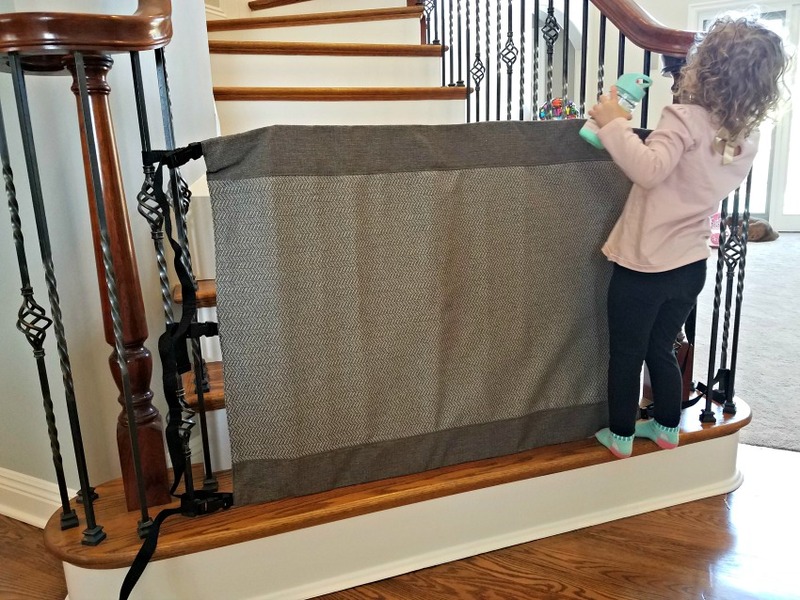 If you have little ones, children or pets, that need to be protected from falls on stairs, the Stair Barrier could be your solution.